Better not... I might choose poorly. 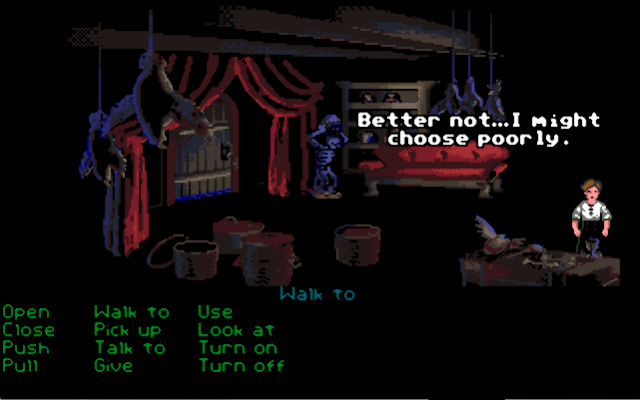 In the Secret of Monkey Island demo for DOS and Amiga, if you try to pick up the chalice, Guybrush says he might choose poorly. This is a reference to Indiana Jones and the Last Crusade.